FC Barcelona are all set for the visit of AS Roma to Camp Nou in the first leg of their quarter-final tie in this season’s Champions League. After the dramatic comeback in the 2-2 draw away at Sevilla at the weekend in La Liga, Ernesto Valverde’s team turn their focus to Europe with the objective a good result at home ahead of the second leg in the Italian capital next week. 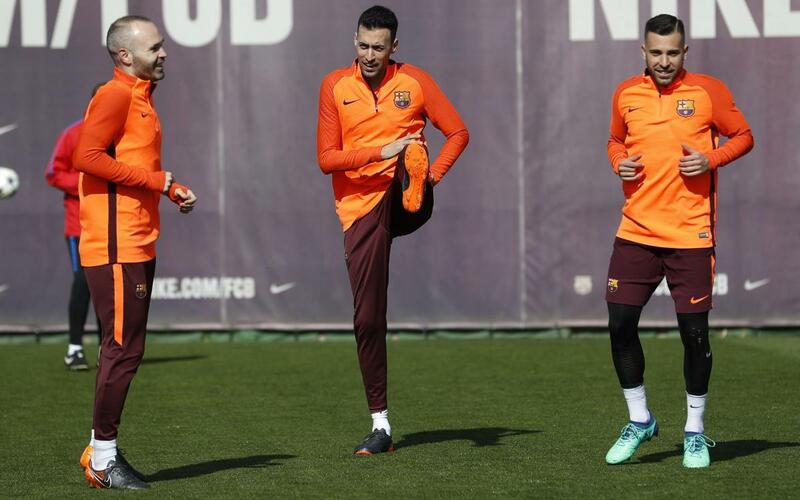 The good news for Barça is that Sergio Busquets returns to the 18 man squad named by coach Valverde after overcoming the foot injury he picked up in the previous round against Chelsea. Lucas Digne is still missing due to injury, Philippe Coutinho is not eligible and there is also no room for Yerry Mina and Aleix Vidal. The full list is as follows: Ter Stegen, Cillessen, Semedo, Piqué, Rakitic, Sergio, Denis Suárez, Iniesta, Suárez, Messi, Dembélé, Paulinho, Alcácer, Jordi Alba, Sergi Roberto, André Gomes, Umtiti and Vermaelen. Before the squad was named, the first team carried out their final session at the Ciutat Esportiva. All Ernesto Valverde’s available squad were present along with Adrià Ortolá and Carles Aleñá from Barça B as the players put the finishing touches to their preparations for the visit of the Serie A side.